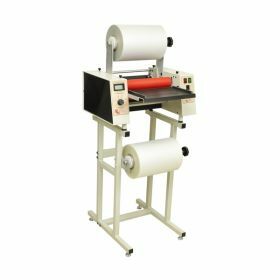 With the majority of roll laminating machines being used in schools and larger sized offices, we realize that safety is of the utmost importance. That is why many of our roll laminators include the latest in safety innovations and energy saving technology! Some of the safety measures include auto shut off, advanced safety shield and a safety feed table! A quick 7 minute warm up time on several of our roll laminators saves you time and energy costs! You no longer need to wait 20 minutes for your laminator to warm-up. 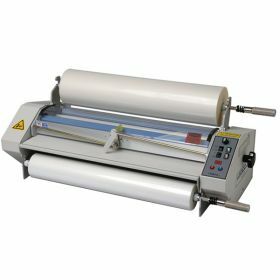 Many of our roll laminating machines also include a UL listing! Simply put, no other online source offers as many quality roll laminators with the advanced safety features and UL listings as Laminator.com. 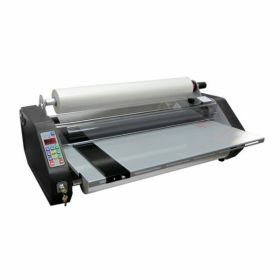 Laminator.com offers all types of roll laminators, designed for the school, government, office, copy shop and print shop markets at the guaranteed lowest cost. 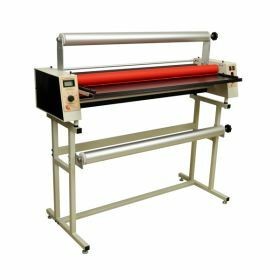 Free Shipping is offered on many of our most popular roll laminating machines, and is for the 48 States Only! Outside of the 48 States? Please call 1-800-713-8879 for discounted shipping information. New! 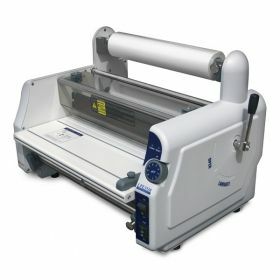 The GBC Foton 30 is a fully automated desktop roll laminator that is easy-to-use and affordable. Available May 2019 - Pre-Order Today to Receive a Free 3mil Value Cartridge! Laminates documents 5" x 6" to 11" x 17"
The Budget 27 - 27" School Roll Laminator is a perfect school choice - high quality at a low price! Comparable units sell at $1249! FREE SHIPPING! 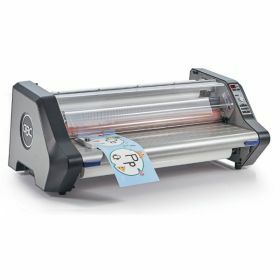 Robust School Laminator that is Easy-To-Use! Big Brother to the Budget 2700 with more features. Includes auto shut-off plus an attached trimmer and a FREE Keylock Keyswitch. FREE SHIPPING! 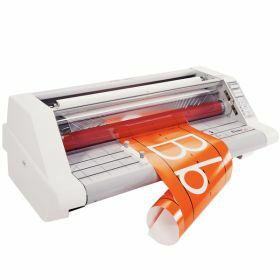 Laminating of letters, legal documents, menus and banners is a breeze with the GBC Ultima 35 EZ Load 12" Roll Laminator. Film can not be loaded incorrectly. 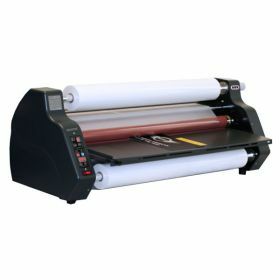 The Signature Easy Lam Budget Saver 27" Roll Laminator is the economical roll laminator choice for schools. This quality roll laminator is Made-in-the-USA! The TCC Easy One - 27" Roll Laminator is the economical roll laminator choice for schools. 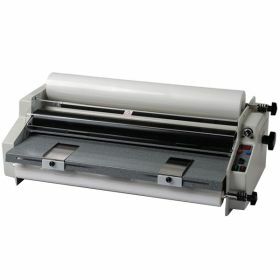 The Signature 27 - 27" Roll Laminator is OUR #1 Selling Roll Laminating Machine! Included is the most requested Auto-Shut Off feature. Made in the USA! 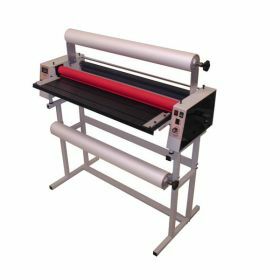 The Epic Plus 27" Roll Laminator includes all of the features of the Epic model with a larger motor that will allow roll laminating up to 4 feet per minute. This Roll Laminator also is UL/CUL/CE approved. One Year Warranty! 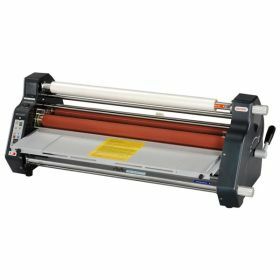 The Signature 27 Plus - 27" Roll Laminator includes an Auto Shutoff Feature Plus an Safety Shield for added safety. Made in the USA!. 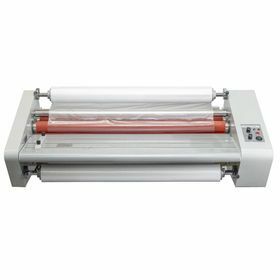 The MiniKote EZ is a 27" user friendly roll laminator ideal for school environments. It features a reverse switch, precision control dial and keyswitch. 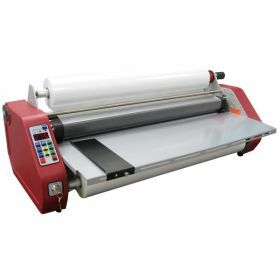 The Signature 27 Pro - 27" Roll Laminator is Our #1 Selling Performance Laminator. More Features than the GBC Ultima 65 and $340 Less. Made in the USA! 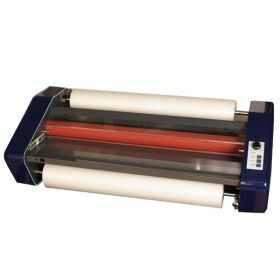 The Epic Pro 27" Roll Laminator is designed with Numerous Safety Features making it an Ideal Roll Laminator for use in Schools, Libraries, Churches and Offices! 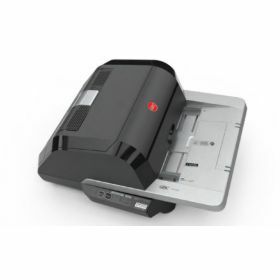 The GBC Ultima 65 EZLoad Ready Roll Laminator is ideal for schools and offices. 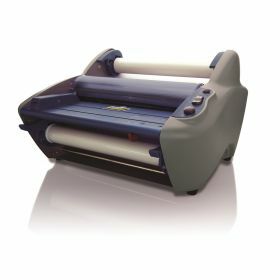 Laminator.com Exclusive - Includes 4 FREE Rolls of EZ Load Film - $240 Value! 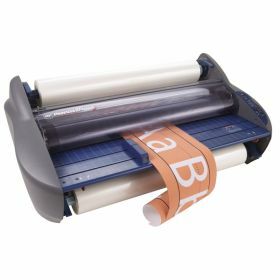 The GBC Ultima 65 27 inch Roll Laminator is an easy to use quality roll laminator designed for use in schools and offices. 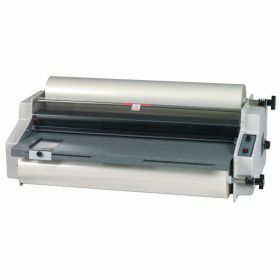 The MiniKote G2 is a 27" user friendly roll laminator ideal for school environments. Its preset speed and temperature settings increase ease of use for the most novice operator. The GBC Pinnacle 27 Roll Laminator is designed for the school market. 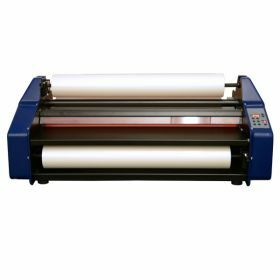 The 27 inch width allows for the laminating of posters, banners and other large documents. The GBC Pinnacle 27 EZ Load Roll Laminator includes GBC EZ Load technology eliminating film loading errors. 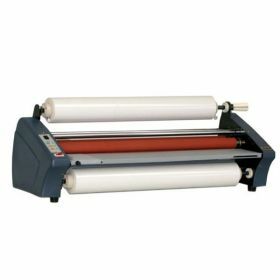 Ideal roll laminator for the school or office environments. 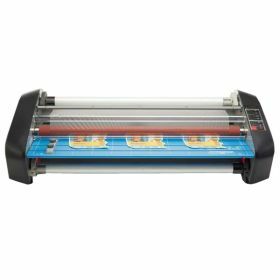 The Signature 27 Elite - 27" Roll Laminator is a Heavy Duty Function Rich Roll Laminator featuring up to 10mil laminating + 3/16" mounting capable. Made in the USA! 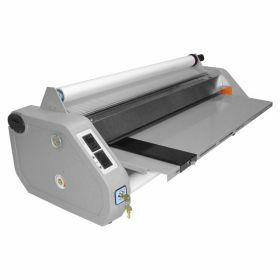 The MiniKote Pro is a 27" versatile roll laminator that allows for laminating using film up to 10mil in thickness, and mounting substrates up to 1/4" in thickness. 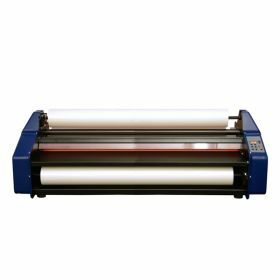 Mounting Capability up to 1/4"
The Signature EM-40 - Our #1 Selling 40" Wide Format Roll Laminator is the most affordable 110V wide format roll laminator on the market today. Made in the USA! 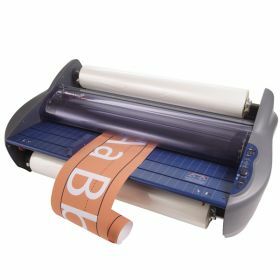 The Ledco Educator 25 inch roll laminator is designed for the education market. A Two Year Warranty is Included. Made in the USA! The TCC 2700 Roll Laminator is designed for schools, offices, copy and print shops. The TCC 2700 Roll Laminator will accept laminating film from 1.5 to 10 mil. A Heavier Duty Motor allowing for faster 8.8 fpm laminating plus 1/4" mounting capability are the main differences between the TCC 2700XM and TCC2700. 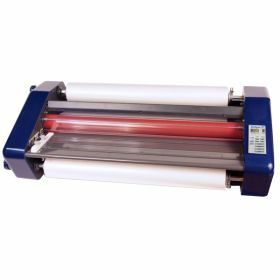 The Ledco Premier 4 25 inch Roll Laminator is a high quality roll laminating machine designed for the commercial laminating market that is Made in the USA! 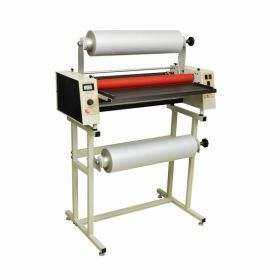 The Pro-Lam PL1200HP 12" Roll Laminator is a high performance roll laminator designed for commercial applications. Stand Included. Made in the USA! The FujiPla 13" Roll Laminator is designed for the school or office environment where the majority of documents laminated are less than 13" in width. The VersaLam 1300 is a heavy duty 13" laminator ideal for the commercial application laminating market with 1/4" mounting capability! Stand Included. The VersaLam 2700-P 27" Roll Laminator is designed for use in offices, print and copy shops that are in need of a quality roll laminator. Stand Included. The VersaLam 2700-EP 27" Roll Laminator is designed for the commercial laminating application market. Stand Included. 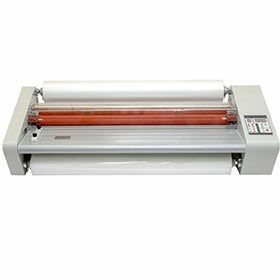 The Ledco Professor 27 inch Roll Laminator is a heavy duty commercial application laminator that mounts to 3/16'. Two Year Warranty. Made in the USA! 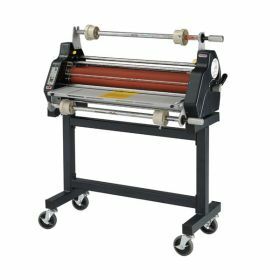 The Pro-Lam PL227HP 27" Roll Laminator is a feature rich commercial roll laminator with 3/16" Mounting Capability. Stand Included. Made-in-the-USA! 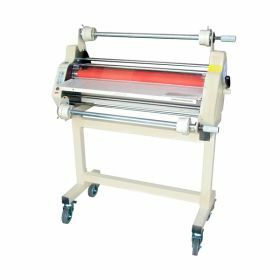 The Pro-Lam PL238WF 38" Roll Laminator is a feature rich commercial roll laminator with 3/16" Mounting Capability. Stand Included. Made-in-the-USA! 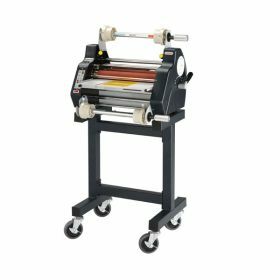 The Pro-Lam PL244HP 44" Roll Laminator is a feature rich commercial roll laminator with 3/16" Mounting Capability. Stand Included. Made-in-the-USA!